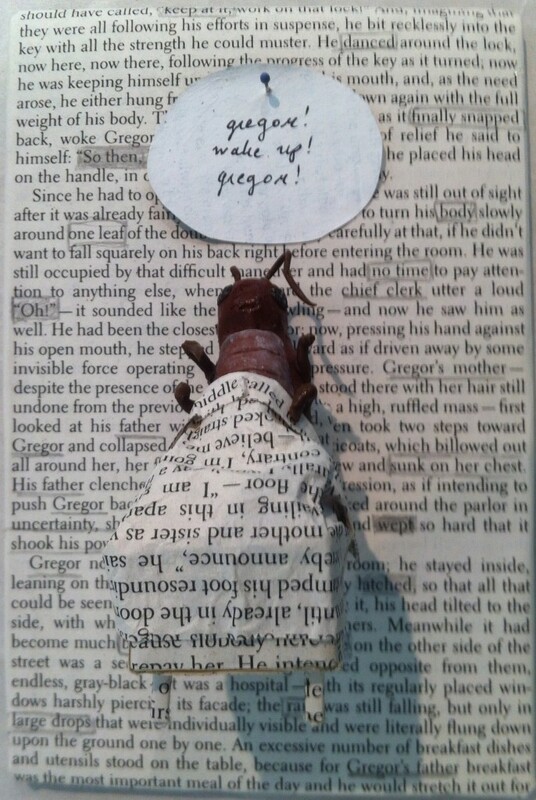 Gregor Samsa, an exhibition of De/Reconstructed Pages from Kavka’s Metamorphosis” is on display from March 6th-April 9th at Dirac Library. The fifteen participating artists are students from the Advanced Mixed Media workshop. The instructor is Linda Hall.